When a 125-year old commercial icon like Kodak — one of America’s most ubiquitous brands — began selling off patents as part of a plan to emerge from bankruptcy in 2012, most journalists, analysts and scholars focused on the tangible signals such as declining revenues and a plunging stock price. Katalin Takacs-Haynes, assistant professor of management in the University of Delaware’s Alfred Lerner College of Business and Economics, takes both a more wide-angle and humanistic view when she leads Lerner MBA students through the Kodak case study in her course in Corporate Strategy. While it’s true that Kodak exemplifies a once dominant market leader that grew slow-footed and inflexible over time, Takacs-Haynes knows that humans — not algorithms — ultimately shaped the company’s fate. As the coming digital revolution flashed, Kodak focused its strategic attention on the acquisition of a pharmaceutical giant and plans to move into the battery business. “Think about the trajectories of say Kodak and Apple,” Takacs-Haynes says. “There was no rule back in 2000 declaring that cameras couldn’t become communication devices. Kodak’s future could have taken a very different turn.” Camera-enabled phones debuted in 2002 — two years before Kodak was removed from the Dow Jones Industrial Average where it had been a member since 1930. Takacs-Haynes focuses much of her research and scholarly writing on board composition and executive compensation, as well as how CEO behaviors impact company performance. 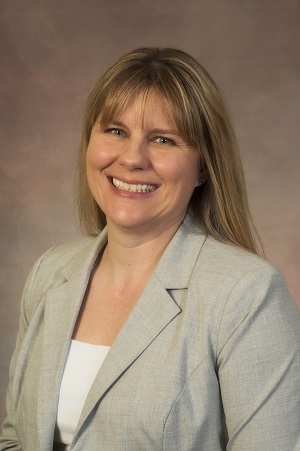 In 2015, she joined with colleagues Matthew Josefy (University of Indiana) and Michael A. Hitt (Texas A&M University) to publish a paper titled Tipping Point: Managers’ Self-Interest, Greed, and Altruism in the Journal of Leadership & Organizational Studies.